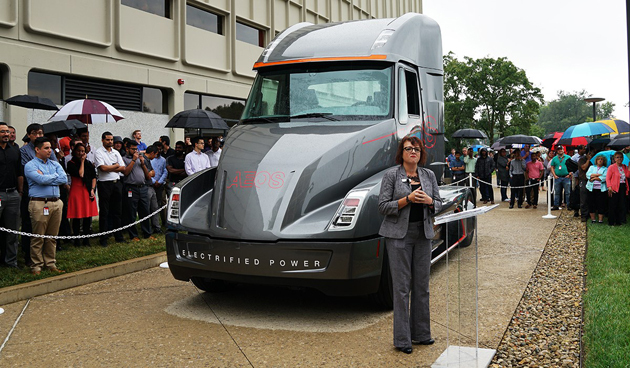 Cummins has whizzed past Tesla in the race for clean freight transport, revealing its own all-electric semi, as well as new, efficient natural gas and diesel engines. The Aeos is a fully electric, class 7 day-cab urban hauler. 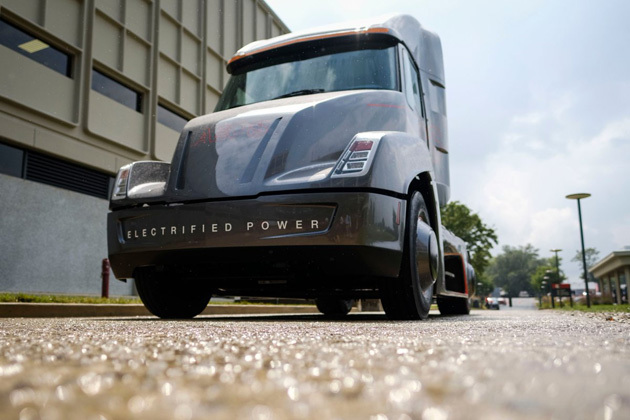 According to Forbes, the truck gets 100 miles of range from its 140-kWh battery pack, so it’s suited more for city use rather than long-haul trucking. It can haul a 22-ton trailer, and is meant for urban delivery or for transferring cargo to, from, and around ports and terminals. For longer trips, Cummins includes the option of additional battery packs to triple the range, or equipping a range-extending engine generator. While this electric truck is a concept, it’s a working demonstration of a product Cummins plans to start producing in 2019. At the unveiling in Columbus, Ind., Cummins also revealed its latest near-zero-emissions natural gas engines, as well as the X15 and lightweight X12 clean diesel engines. The company said it is embracing new technologies that allow its customers to contribute to a sustainable future.